Come experience a lifestyle beyond your expectations. Introducing Oak Hollow, a community of apartment homes stylishly designed to offer a blend of active, outdoor living, relaxed comfort, convenience, and quality atmosphere. 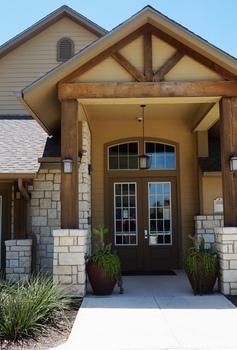 Conveniently located near Seguin’s highly acclaimed schools, fine dining, shopping, and ever growing medical facilities, Oak Hollow is the perfect place to call home. This master planned community is constructed with quality, sustainable materials, and is unsurpassed in providing energy efficient green initiatives as a standard feature. Reserve your new Oak Hollow apartment home today for the lifestyle you deserve. Enjoy our sand volleyball court, basketball court, fitness center, relaxation pool, hot tub, and walking/biking trail within the gated community. Seguin’s newest apartment community is changing the way we live. Oak Hollow, not just an address change, a lifestyle change.